Baby Paul just turned four-months-old last week. He’s a happy little guy with a warm smile and an infectious laugh. His dark red hair has been falling out, leaving bald patches on the back and sides of his head. We’re curious to see if it comes back the same color, or perhaps light blonde to match his eyebrows. Recently he started rolling over from his back to his tummy and getting stuck. This has led to more frequent nighttime wakings. As for me, my hair has also been falling out for the past month or so. I’m about at my pre-pregnancy weight, but the hole in my abdominals hasn’t healed, so I’ve started doing exercises to correct that. My moods are up and down – I’m not quite sure what my baseline mood should be anymore, since I’ve been either pregnant or breastfeeding for the past 4 years. I also haven’t gotten very good quality sleep for the past 3 + years since my daughter was born. I miss working and interacting with other adults regularly. I’m thankful for two healthy children. Very thankful. I’m enjoying the many opportunities to snuggle with my baby. I know the snuggling age will go by quickly. It was perfect weather for baby’s first trip to the beach. I can so empathize with the ambivalence. It’s ok to feel tired/lonely/frustrated/etc. and still love snuggling your baby. Hoping you get some grown-up conversation time soon, too—that’s so important! Thanks for empathizing. 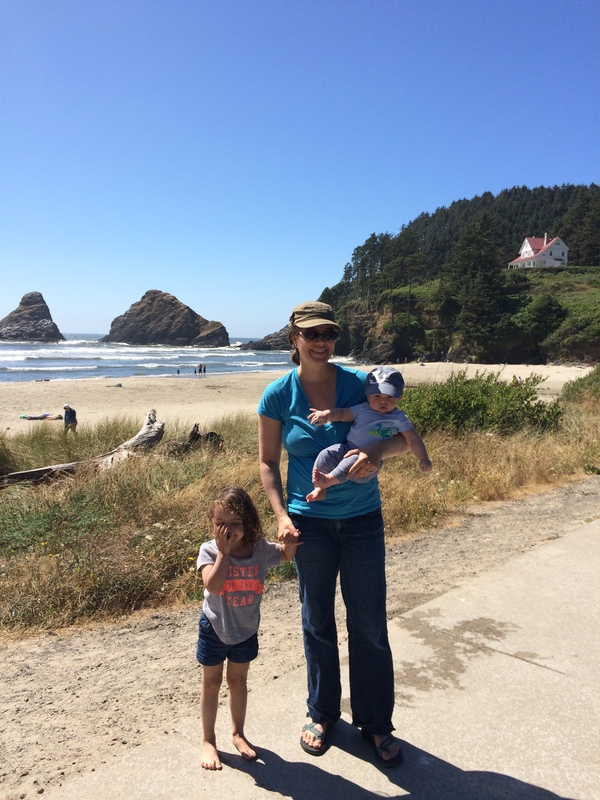 Being a full-time mom to tiny kids is tough, but there are wonderful things about it as well. I’m trying to focus on the positives as much as I can.